Rich is an advisor who helps his clients face financial challenges. His is an approach that starts by defining success criteria for his clients—which are different for most everyone. He then puts his instincts and experience as a business owner to work to guide clients forward. Since 1963, Roger has been using his skills to help his clients keep their finances in order. From day-to-day accounting to complex tax issues, Roger’s ability to forge lasting, mutually beneficial relationships with clients across a broad spectrum of industry sectors makes him a strong member of our team. In fact, for Roger, the measure of his success is based on the strength of the relationships he's built and been able to maintain over the years. When he’s not behind his desk, he’s out sailing the waters of Casco Bay, golfing, or globe trotting with his wife. With more than 40 years’ experience under his belt, Tom has seen a lot of changes come and go. 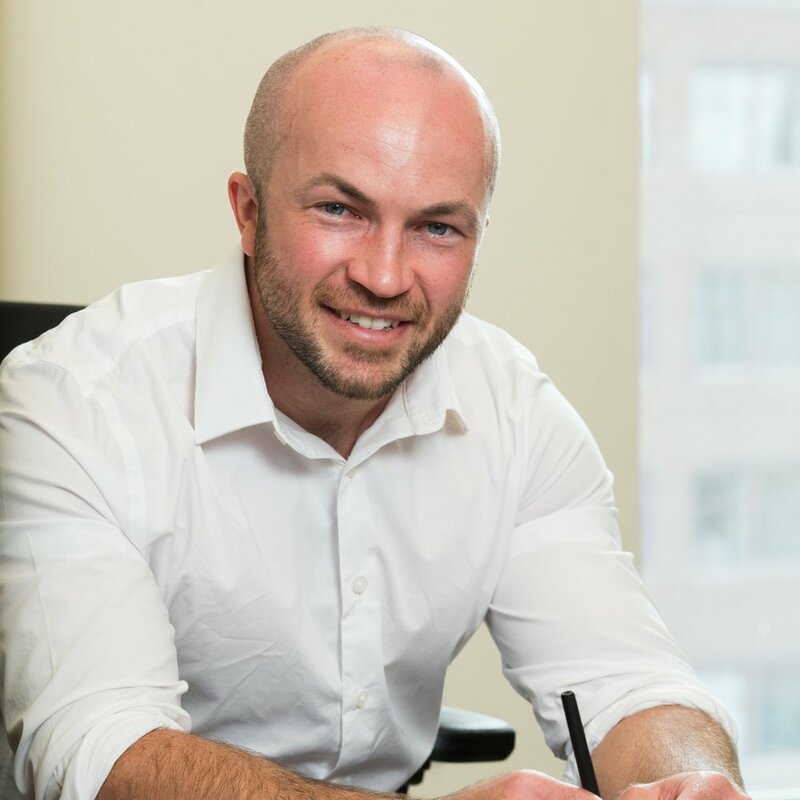 He loves what he does because of the challenges associated with learning the ever-changing and complex tax and accounting rules and using them to implement strategies to help his clients meet their business and profitability goals. Tom has been a member of the Maine Society of CPA’s Ethics Committee for more than 20 years and is presently its chairman. 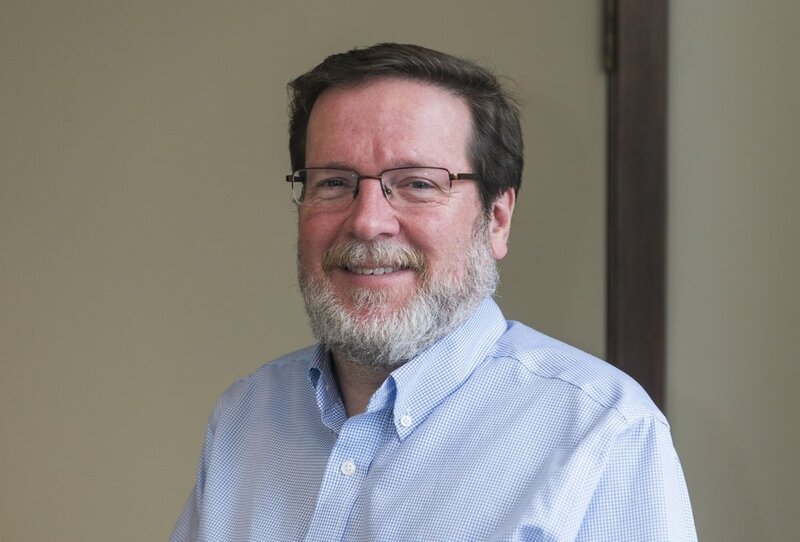 David has been working in public accounting since 1984 and over that time has enjoyed building and maintaining strong relationships with his clients. He finds great joy in helping the people—and businesses—he works with achieve their financial and life goals. He also has an uncanny ability to help clients understand even the most complex tax codes. David is presently a Cumberland County Representative for the Maine State Grange and President of the Highland Lake Grange. When he's not behind his desk you'll find him spending time with his wife and family, see him playing trombone with Maine Pops Community Concert Band, or tooling around town in his prized Mustang convertible. During the course of her career in accounting that started in 1993, Mary has worn many hats—from heading up a firm's internal accounting division to managing human resources and information technology departments. 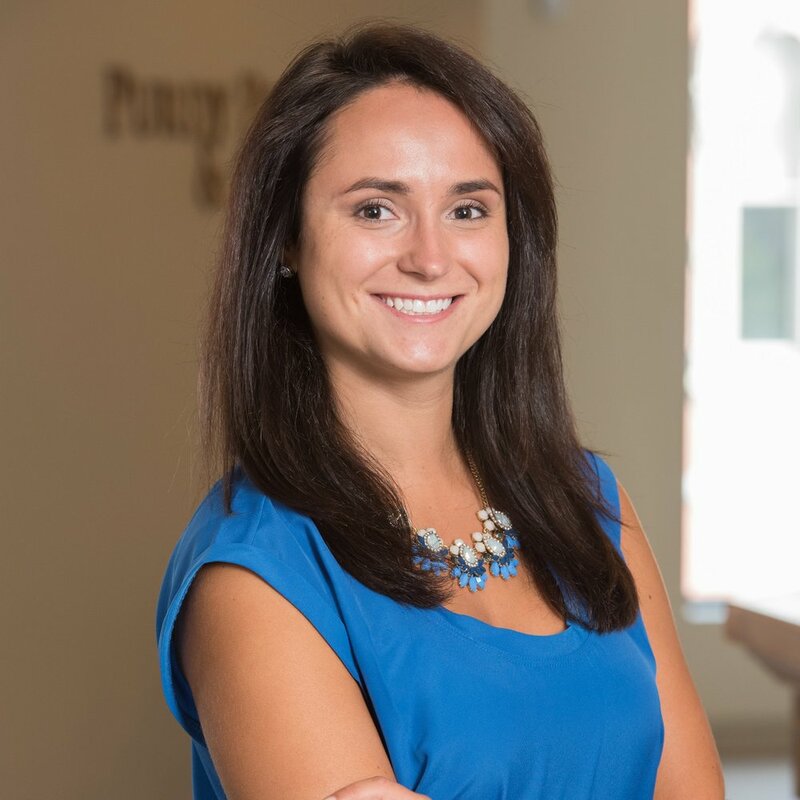 When she earned her CPA designation Mary focused her efforts on consulting, tax, and small business advisory services for clients in a broad range of industries. While a tax expert, she also focuses her efforts on helping her clients with business acquisitions, and accounting system design, setup, and implementation. When she's not wearing her accountant hat Mary spends as much time as possible with her family traveling, boating, and skiing. The perfect escape for her—camping on Jewel Island with the family. While she may not be an accountant, Erin sees herself as more of a financial detective—she’s constantly learning and uncovering new things which keeps her engaged—and makes her job very interesting and exciting. Her sleuthing skills have proven themselves as great assets to our clients. A native of Singapore, Bunnie has over 30 years’ experience in accounting and bookkeeping. Not only does she have a passion for this business, her greatest satisfaction comes through helping clients feel comfortable and confident about their financial lives. Bunnie has a way of making her older clients feel at ease in the financial world. A former Arabic Linguist for the U.S. Army, Jamie is a disciplined tax professional who makes it easy for her clients to understand the meaning of the somewhat ever-changing tax code landscape. A true team player, she finds great joy in collaboration with her team to solve complex problems. Jamie is at her best when tax season is in full swing because she really enjoys the fast-paced days (and sometimes late evenings) of work. When she’s not honing her tax skills, Jamie can be found cheering at her kids’ hockey games, roaming her neighborhood with the family’s new dog, or immersing herself in a good book. Christy came to the United States from China by herself, then graduated at the top of her class. Her drive and dedication to the accounting profession gives her the ability to help her clients through any financial situation. Christy’s industry experience is diverse and she’s able to use it to the advantage of the people she works with. For Alex, the diversity of his tax clients is what keeps him on his toes—and always learning new things. Each day comes with exciting challenges and opportunities to help the people he works with understand the nuances of the tax codes and work through even the most complex issues. Alex donates his time to Volunteer Income Tax Assistance and to the Ronald McDonald House. When he's not working or volunteering, he coaches middle school football, is an avid runner and hiker, and likes to spend as much time as he can with his friends and one of Maine's beaches. Melesa considers herself a lifelong learner, which makes her a perfect fit at Purdy Powers. 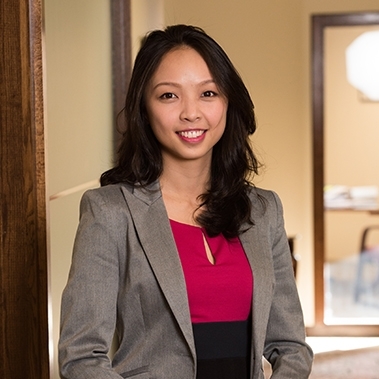 With her diverse roster of clients, she is able to discover new things while helping them understand the complexities of their balance sheets and overall financial operations. And she does it in a way that makes her clients feel at ease, knowing they have an experienced professional on their team. If she’s not working on client business, she’s usually cheering on her husband at short track races around Maine. Polly's path to accounting began when she was a retail buyer for a chain of New England-based stores and mail order catalog which led her to opening her own retail stores in Portland and at Sunday River. It wasn't managing retail she loved but the complex financial aspects of running a small business which is why she pursued her CPA designation. Since she was a small business owner, Polly translates this expertise to help her clients maneuver the financial complexities of business. When she's not working with her small business clients Polly is either climbing, hiking, skiing (on the slopes and on the water), and traveling as much as she can. Tax Manager is the perfect role for Jim because he finds great satisfaction helping clients navigate the often complex world of taxes through planning and education. As an attorney who passed the Maine Bar Exam on his first try, Jim makes absolutely certain that all returns are in the strictest compliance—he works as hard as possible to help his clients understand the nuances of the ever-changing tax codes. Jim’s an accomplished singer and actor who is regularly involved in local community theater. When he’s not behind his desk or on stage, he spends his time playing piano and working his gardens. Katie is never one to shy away from a challenge, especially when it comes to complex accounting issues. 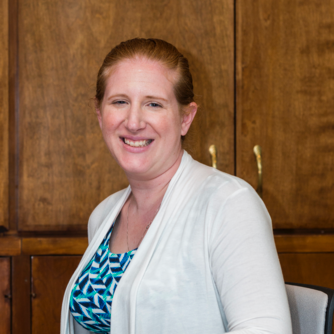 When she sees an issue, her first question is: “what can I do to solve this?” With more than 10 years experience in accounting, Katie has definite passion for the business and helping her clients succeed. Robert, it could be said, has accounting in his blood. A solid example of this is the fact that he passed all four parts of the CPA exam the first time he took them. It also doesn’t hurt that he also loves what he does and finds incredible satisfaction helping his clients navigate and understand the incredibly complex landscape of personal and business taxes. When he’s not working through tax issues Robert is spending time with his family, hanging around on Peaks Island or working on his golf game to lower his handicap. Carol's extensive experience in public and private accounting gives her a unique—and valuable perspective—on finance. A perspective that helps her work with her clients to help solve even the most complex financial issues. At every turn Carol does all she can to help her clients hone and fine-tune their financial reporting and analysis. She's a USTA League Tennis Captain and when not on the courts swinging her racket spends her time with her family, friends, and her dog enjoying her life in Maine. Tonya is an accountant who thrives on change and new challenges, which is exactly why she has such passion for her job. Tonya loves helping a broad range of clients navigate through complex financial issues and believes there is always something new to discover or uncover. For Derek, this is an incredibly dynamic business where there truly is never a dull moment. He finds great satisfaction in helping his clients achieve their short and long-term goals. Elmira thrives on the diversity of her clients’ businesses. What she learns from digging into the finances of a company in one industry, serves her clients in other industries. It’s a cross-pollination that adds great value to the team. If you run into her outside the office, chances are she’ll be with her young son. When he's not around, Elmira loves reading and learning about other cultures. Kyle's accounting experience covers a broad range of industries which makes him a perfect member of our team. His attention to detail and innate curiosity and passion for numbers helps him help his clients make focused financial decisions by providing solid reporting solutions. When he's not putting together solid financial reports, Kyle is out kayaking the waters of Casco Bay, leading sea kayaking tours along Maine's coast, or volunteering on the ski patrol at Mount Abram. When she’s not in the office, she’s usually up to her elbows in wooly fiber—Allie is an accomplished knitwear designer. Outside of work, Maria spends as much time as possible with her family. She also spends time running, listening to music, and rooting for the New England Patriots. Like we said, for her it’s all about team. When he’s not sitting behind his desk, Michael is running…he runs every morning before work and races whenever he can. He also reads whatever he can about politics and history. Shelly has been in public accounting for her entire career and can think of nothing else she’d rather be doing. She loves helping small business owners manage their taxes and other financial issues—while seeing their businesses grow and prosper. Even though she works remotely from her home in North Carolina, Shelly maintains close relationships with her Maine clients. Mitchell’s a team player who knows how to pitch in to get the job done for his clients. This attribute may come from the fact that when he was in college he once pitched a perfect baseball game. He also enjoys the fact that there are so many different types of business and individual accounting rules to keep up with and learning and staying on top of the game. When not working with numbers Mitchell is volunteering for area baseball groups, hanging out with his friends or staying in shape through a broad array of physical activities. When she's not at her desk or working with clients, Jessica spends as much time as possible with her husband, two young daughters, and their dog Link. In her spare time, she's also an avid reader. Holly loves numbers, period. And as a member of our audit team she gets to analyze complex issues and look for problems that need to be quickly solved. As a true team player she also knows that she can rely on the group to work with her to get the job done for her clients. When she’s out of the office, you’ll find her at her lake house with her family and her dog—boating in the summer and skiing in the winter. You could say that Tyler is the ultimate team player which is why he enjoys working with such a diverse group of clients. When he’s on the job, he sees himself as an integral member of his clients' financial teams, where he can use his skills to help them manage their businesses—and bottom lines—more easily. Tyler believes that great client service comes from being able to listen intently in order to understand and assist. When he’s not working with his client teams, Tyler coaches youth football and during the winter months assists in running a youth basketball camp. If he’s not doing one of those things he’s either at the gym or traveling. Judy has been a full-charge bookkeeper and for the past 11 years has focused her efforts on tax preparation for a broad range of businesses and individuals. This experience, coupled with her love of learning—and mastering—new things each day, make her a true asset to her clients as she helps guide them through the complexities of their taxes. Judy is involved with Greater Portland Family Promise and when she's not working or volunteering, spends as much time as possible enjoying Maine with her family. 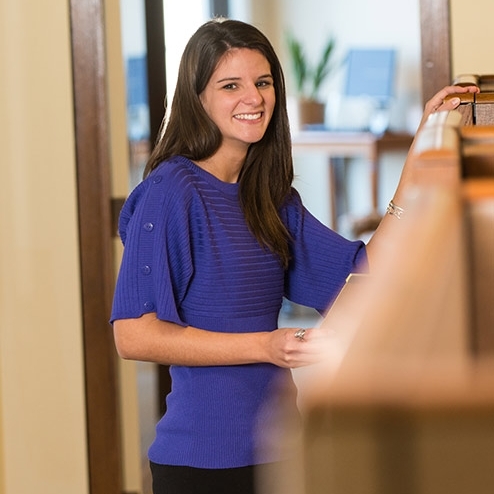 Lyndsay got interested in accounting as a profession while interning at a CPA firm in Texas. When she graduated college, she worked for a firm in San Antonio before making her way to Maine. 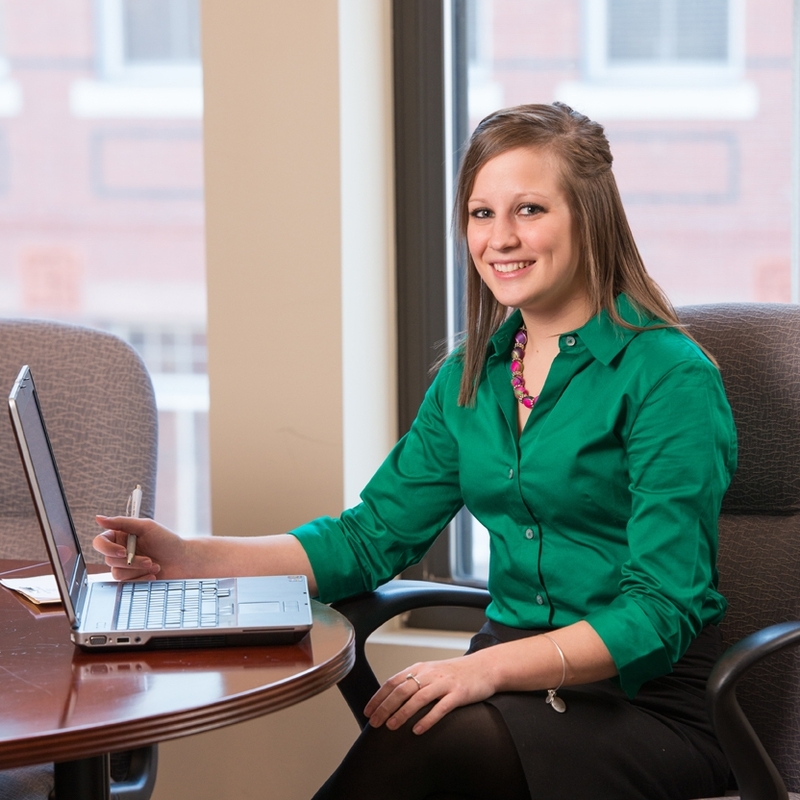 Lyndsay really enjoys learning about and working with a broad variety of clients as she helps them with their taxes. When she’s not behind her desk at the office Lyndsay spends as much time as possible volunteering with the Animal Refuge League. Accounting truly is Peter’s calling. He loves being part of a profession that adds value to the lives of his clients. He builds lasting, trusting partnerships with them so that, together, they can work to reach financial goals. Peter is a member of the Maine Employee Benefit Council. When he’s not working with clients, Peter spends as much time in the outdoors as possible, supporting his children’s activities, and reading as much about history as he can. In her more than 17 years in the business, Shannon has worn many hats—client support specialist, bookkeeping services professional, and a tax preparer—this well-rounded experience makes her a very solid member of our team. She enjoys the great variety of her work and loves working with individuals, sole-proprietors, and small businesses because at the end of the day each of her clients want the same thing—a friendly relationship where they know their needs are being met. And questions answered. When she’s not discovering new things about her clients’ businesses Shannon is out and about exploring Maine, enjoying time with her daughter and their menagerie, reading, or honing her baking skills. With over 20 years’ experience as an accounting professional—auditing, tax work, and corporate compliance—Anne’s background is a strong asset to all her clients. She especially enjoys the broad variety of work she performs as a CPA because she gets great satisfaction being an informed resource for the people she works with and for. Anne is currently on the Advisory and Fundraising Committees for My Place Teen Center and when she’s not working or volunteering she’s playing USTA Tennis or relaxing at her lakeside home with her partner Denis and their dog Maggie.